Queen Elizabeth II’s 19th great-grandfather, Robert The Bruce (Robert I) was born in 1274. He was not the first Robert Bruce is his family’s lineage, nor the only one to make attempts at the Scottish throne. Born of formidable stock, it is said that his mother Marjorie, Countess of Carrick, held his father captive until he agreed to marry her. Bruce’s lasting legacy is his enduring and successful fight for Scottish independence. He was the grandfather of King Robert II – the first Stewart king of Scotland – and famously supported William Wallace’s uprising against the English. Born in July 1243 of Scoto-Norman heritage, Sir Robert VI de Brus is known to have been the 6th Lord of Annandale. It has been reported that Robert the Brus was a participant of the Second Barons War, Ninth Crusade, Welsh Wars, and First War of Scottish Independence. Robert served under Edward I of England and even fought alongside him against the Scots at the Battle of Dunbar. Despite attempting to claim the Scottish throne in that same year, his claim was rejected and he retired to his estates in Essex, dying in 1304. Born in 1253 or 1256, Marjorie of Carrick was the daughter and heiress of Niall, Earl of Carrick, being the Countess of Carrick in her own right. Story goes that Marjorie became infatuated with the handsome young man that delivered the news that her first husband, Adam of Kilconquhar, had died during the Eighth Crusade. She held that young man captive until he agreed to marry her, and in 1271, they got married. The handsome man was Robert de Brus and among their children was the notable Robert the Bruce. Both Bruce and his father supported King Edward I’s invasion of Scotland in 1296, hoping themselves to gain the crown. It is unsurprising that they were disappointed when Edward I took over the reign of Scotland. For 10 years from 1296, Scotland was ruled as a province of England by King Edward I. In 1298, Bruce became a guardian of Scotland. After an argument with John Comyn, his biggest rival for the Scottish throne, he stabbed him to death in a church in Dumfries. Shortly afterwards he claimed the throne and was crowned alongside his wife, Elizabeth, at Scone, on March 25th 1306. Born in Ireland in 1284, Elizabeth was the daughter of Richard Óg de Burgh, 2nd Earl of Ulster, a close friend of King Edward I of England. She met Robert the Bruce at the English Court and married in 1302, when Elizabeth was about 13 years old, and Robert 28. Together they had four children: Matilda, Margaret, John and the future king David II of Scotland. The year following his coronation, Bruce was deposed by Edward’s army and forced to flee. His wife and daughters were taken prisoner and three of his brothers were murdered. Bruce retreated to an island off the coast of Northern Ireland. Whilst in hiding, legend has it that Bruce watched a spider swing between rafters, trying to anchor its web. It failed six times, but with the seventh try was successful. Bruce took this as a sign and decided to battle on. When Bruce returned to Scotland, he launched guerilla warfare against the English. Edward I was furious at Bruce, but died within sight of Scotland whilst on a northward march to defeat the rebels. The English throne’s successor Edward II couldn’t match his father and tried for a two-year truce with Bruce. Bruce defeated a much larger English army under Edward II at the Battle of Bannockburn in June 1314 – re-establishing the independent Scottish monarchy. This was perhaps Bruce’s finest hour and most enduring legacy – fighting for Scotland’s independence in a David and Goliath style battle, and winning. This is the story of that remarkable battle. How Did the Battle of Bannockburn Start? On 23rd June 1314, by the river Bannockburn, Sir Henry de Bohun, a young English knight, made a fatal error of judgement. Wearing heavy armour and mounted on a war horse he pointed his lance in the direction of Robert the Bruce. Recklessly he charged, confident that he could win this ‘little’ battle by dispatching its leader before it even got started. The Bruce was on a smaller horse, with not much more than a shield standing between Sir Henry’s lance and his chest. But it meant he was also light of foot. As Sir Henry charged on him he steered his horse aside, stood up in his stirrups, and chopped his axe through Sir Henry’s passing helmet. Sir Henry died almost as much of embarrassment as an axe-blow. Imagine the turbocharged roar of morale from the Scottish soldiers who witnessed this. So began the Battle of Bannockburn. Bannockburn changed the face of military warfare and proved that heavily armoured knights were no match for foot soldiers. In previous battles, knights would meet with enemy knights and clash with each other on horseback. It was all jolly chivalric. The foot soldiers were little more than servants to the feudal knights. They ran along behind mopping up unmentionables and lending support. They were armed of course, but not organised. The Scottish army was made up of at least 7000 foot soldiers (exact numbers are unknown), many of whom had won their stripes in guerrilla warfare, ambushing and raiding the English militia who occupied Scotland. But they had only 600 mounted light-horsemen. 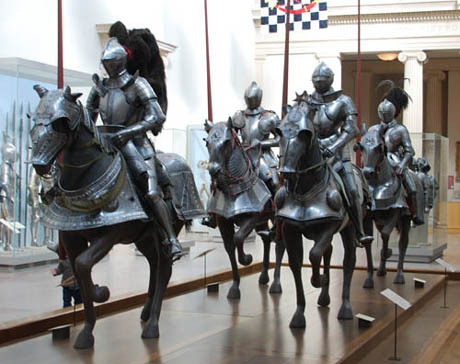 The English were 3000-strong with heavily armoured horsemen and 10,000 more on foot. When Sir Robert Keith, leader of the 600 Scottish knights, climbed a hill to spy on the arriving English army the night before battle, what an alarming sight must have greeted him. Coats-of-arms and banners in every colour; swords and shields glinting in the long evening shadows, and an insurmountable field of horses. Robert the Bruce, however, had a masterly plan. William Wallace had begun the War of Independence that won back castle after castle, town after town for the Scottish. When he was executed for treason in 1305, Edward I regained control and all seemed lost. Then Robert the Bruce got the fire in his belly and re-instituted the same guerrilla strategies. 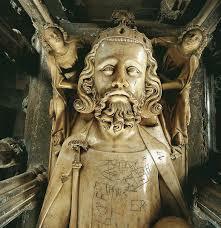 He was crowned King of Scotland at Scone in 1306, then in 1307 Edward I died, and Scotland heaved a sigh of relief. Some even threw parties. Edward II had no stomach for the war his father had been so keen to wage. Immersed in personal battles at home he neglected his castles north of the border, and Robert’s army took full advantage of that. One by one they fell to the Scottish. Stirling Castle was one of the last remaining strongholds of English control. The Scottish laid siege to it for 4 months. In the end the castle’s occupier, Sir Philip of Mowbray, did a deal with them. If reinforcements hadn’t arrived from England by Midsummer’s day 1314 (23rd June), he would call it a fair cop and hand over the castle. Effectively Mowbray was calling for the English king to invade Scotland. Edward had to do it or look like a yellow-belly scaredy-cat. He summoned his army of feudal knights, who didn’t expect to face much of an opposition from that ragged band of Scottish guerrillas. Meanwhile, Robert the Bruce made intricate preparations for the battle of his life. 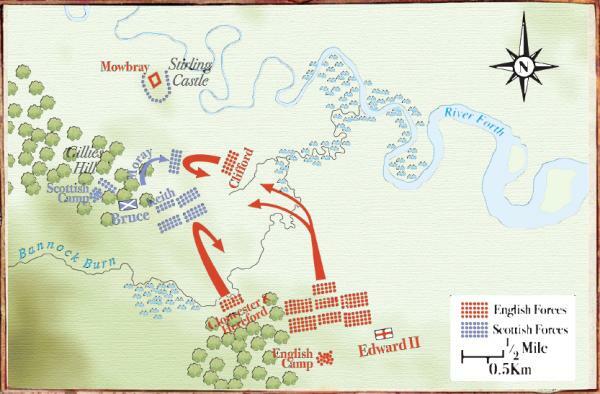 Using Wallace’s methodology he divided his troops into schiltrons, or units. Each schiltron was composed of a ‘Crown formation’ of close-knit foot soldiers with spears facing outwards, like a giant human hedgehog. He ordered pits dug on the north side of the Bannock and covered them with branches. More concealed pits were dug in front of the schiltrons. He made sure the geography was on his side. If the English got across the Bannock burn they had to contend with marshes and the river Forth hemming them in. The only way to cross the Bannock directly to the battleground was by a narrow ford. The English were forced to form themselves into a column to negotiate the ford, which gave the Scottish a clear advantage. The blood bath that ensued meant that the Scots won the field on the first day. The English withdrew ‘tae think again’ as the song goes. Morale was low that night in the English camp. A whole day of fighting and no ground won. Sir Alexander Seton, a Scot fighting on the English side, defected that night to the Scottish camp and told King Robert of the despondency of the English. They believed God was against them in this unholy war, and some regiments were rebelling, raiding the supplies and getting drunk, as it was likely to be their last night on Earth. In the shadow of Stirling Castle, King Edward must have lain in a troubled sleep. The next day the English decided to cross the Bannock burn further east and attack the schiltrons sideways. This was a disaster. The piece of land Edward chose to fight on was hemmed in by two rivers and impossibly boggy land. One after another the Scottish schiltrons charged on the mounted knights. It soon became obvious who was going to win. The English king was led away and his army retreated in turmoil. Many were drowned in the river. Even the unassailable Welsh archers, Edward’s pièce de résistance, were scattered by the Scottish cavalry. Robert the Bruce’s superior military preparation meant victory belonged to the Scottish, along with Stirling Castle. This battle was a major turning point in the war, which eventually ended in the treaty of Edinburgh-Northampton in 1328. Unfortunately, this was broken by Edward III in 1333, inflaming a second and more complex war which finally died out in 1357. An uneasy peace grew from the ashes. Today Scotland and England only wage war on the football pitch where animosity never dies! However, Edward II did not relinquish he reign lightly. In 1320 Scotland’s most influential people sent a letter to Pope John XXII claiming Bruce as their rightful monarch. This letter became known as the ‘Declaration of Arbroath’ – asserting the antiquity of the Scottish people and their monarchy. It was several years before Bruce finally was recognised as the king of an independent Scotland – the year before his death. How Did Robert The Bruce Die? 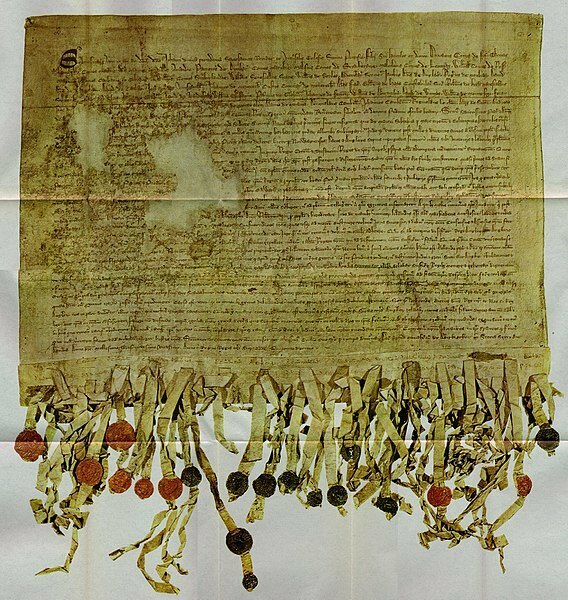 Scotland’s independence was officially recognised by the Treaty of Edinburgh, between Robert I and Edward III, in 1328 – ending a three decade war of independence. The following year Robert The Bruce died at his home in Cardross after suffering an illness some described as leprosy. He was just 54 years old. Bruce had requested that his heart be taken to the holy land, but it only reached as far as Spain before being returned to Melrose Abbey where it was buried. His body was laid to rest in Dunfermline Abbey, where it remains today. King Robert I of Scotland has also been depicted in popular films, such as Braveheart (1995) and the Outlaw King (2018). Directed by Mel Gibson in 1995, Braveheart follows the epic journey of William Wallace and his role in the First War of Scottish Independence. Robert the Bruce’s character, portrayed by Scottish Actor Angus Macfadyen, has been considered by many as historically inaccurate. Robert the Bruce did change sides between the Scots and the English in the earlier stages of the Wars of Scottish Independence, but he never betrayed William Wallace directly. The term “brave heart” has actually been attributed to Robert the Bruce and not William Wallace, as the heart of the King of Scots was brought to a Crusade in Spain. The Netflix blockbuster, Outlaw King, directed by David Mackenzie in 2018, stars Chris Pine as Robert the Bruce. In this film, Robert The Bruce is the primary character and it depicts the guerilla war against the English. It follows Bruce’s adventures, from the moment he surrendered to Edward I of England and it climaxes with the Scots victory at Loudon Hill in 1307. As a historical action drama film, there are still some issues with his historical authenticity, yet it had an overall positive reception by critics and the public.